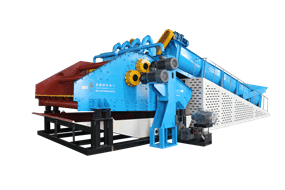 LZZG multi function modular washing plants are designed for maximum washing sand and recover the most part of the fine sand that mixed in water during the process. 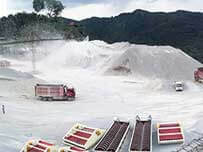 Aggregates need to be cleaned in the drying treatment of sand washing plant, whether they are quarries or gravel, The most commonly washing case is artificial sand and natural sand. The use of hydrocyclone in modular washing plant is the most effective way to wash sand. 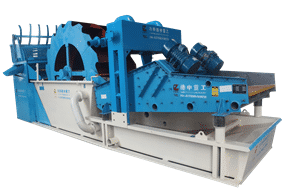 LZZG multi function modular sand washing plant equiped with hydrocyclones and could remove -63 micron material from the washed sand product. 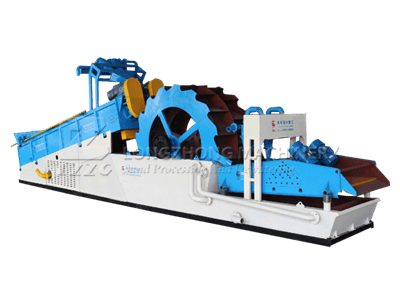 This effectively eliminating the loss of quality fines to waste water treatment phase, and the modular sand washing plants are widely used in mineral washing, recycling, rivers and lakes sand purification. 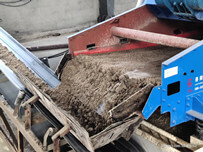 The quality sand after screening are fed into spiral washing tank through chute for primary washing, the spiral sitter tumbling and grinds to remove impurities covering the surface of sand. 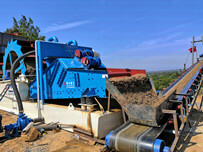 The washed sand is taken away by the blades to feed into bucket sand washer. The muddy water and small specific gravity is taken away and pumped to desander cyclone for recycling, then also fed into bucket sand washer. When the bucket moves, the sand is washed by bucket sand washer, then the clean sand fed onto polyurethane screen for dewatering. 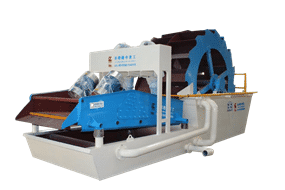 At the same time, muddy water and fine particles mixture is extracted to secondary desander cyclone for recycling fine sand, then also fed onto polyurethane screen for dewatering. Then the finished product which is fully dehydrated by high frequency vibrating screen, will be transported into stock pile by belt conveyor. 1. 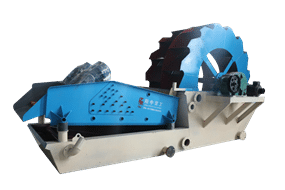 Combine spiral sand washer, wheel sand washer in one for twice cleaning. 2. Efficient, energy saving, environmental protection. 3. Can be customized for different models, multi-layer screen. 4. Installation is simple, low maintenance costs. 5. 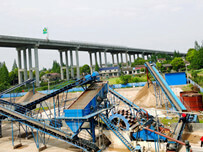 Finished sand moisture content of less than 15%, mud content of less than 2%.